Based on a vintage Painted Desert large letter designed-postcard from the 1930s. Vintage-style quilt block makes the perfect companion to go with the Petrified Forest Quilt Block. 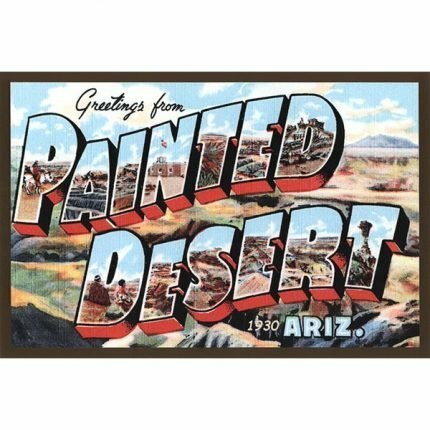 A perfect memento of your northern Arizona vacation! Also makes a great gift for the craftsperson in your life. Quilt blocks are American-made on 100% cotton sateen and ready to quilt—not a transfer.